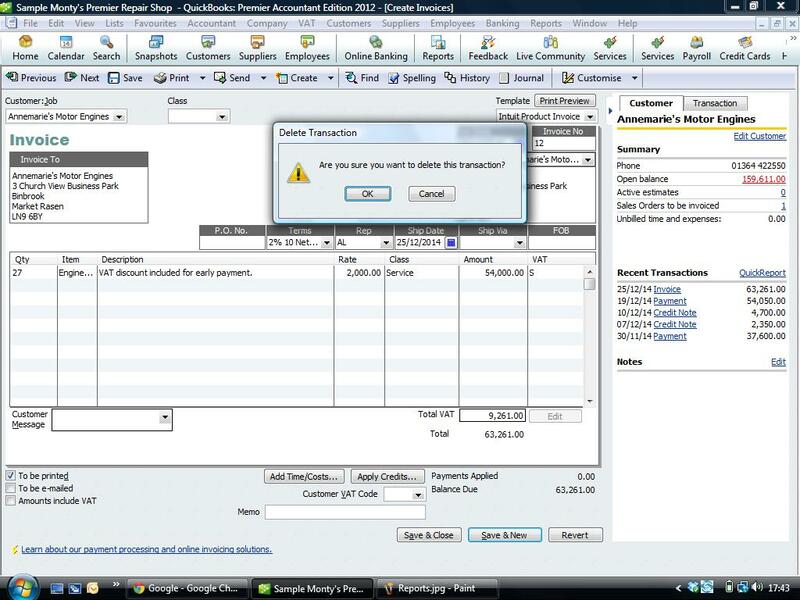 To delete any transaction in Quickbooks, bring the transaction on to the screen in front of you. Go to Edit > and Delete Invoice ( Or cheque or Bill etc). Quickbooks will ask you if you are sure you wish to delete the transaction, if you have a password set to a closing date or your access rights do not allow you to delete transactions Quickbooks will remind you of this.